Jessying - Malaysia Beauty Blog - Skin Care reviews, Make Up reviews and latest beauty news in town! 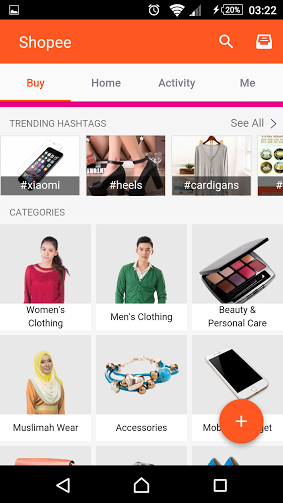 : Shopee Mobile Shopping App makes buying and selling online EASY & SAFE! 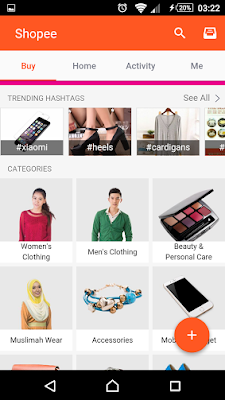 Shopee Mobile Shopping App makes buying and selling online EASY & SAFE! There is no secret that I love shopping and most of you here love shopping too right! Haha how I wish shopping is our full time job… haha .. so with that much of money we have on hands, we need to be a smart shopper to hunt down the best deal, so that to make worth of every ringgit spend. Although I love going around to shop, to physically touch and try it sometimes I felt it’s not economical. Because we have to spend on petrol, toll and parking before we even buy something! And sometimes we didn’t even buy anything but already spend RM50 just to travel to the mall. If you don’t know usually online stores offer prices that are much lower than what you will find at a physical store. There is always better deals and promotion on online. I do not need to dress and drive out to do shopping. Save the hassle of stuck in the jam, finding parking and queuing to pay. The beauty of online shopping is I could shop it anywhere and anytime with my mobile or laptop. Shopping online allows you to find many products that you wouldn’t be able to find in a physical store. And you never need to worry products will run out of stock cos they are plenty! And as a self-proclaimed smart shopper, I always in the hunt for the best shopping sites! And recently I discovered Shopee! 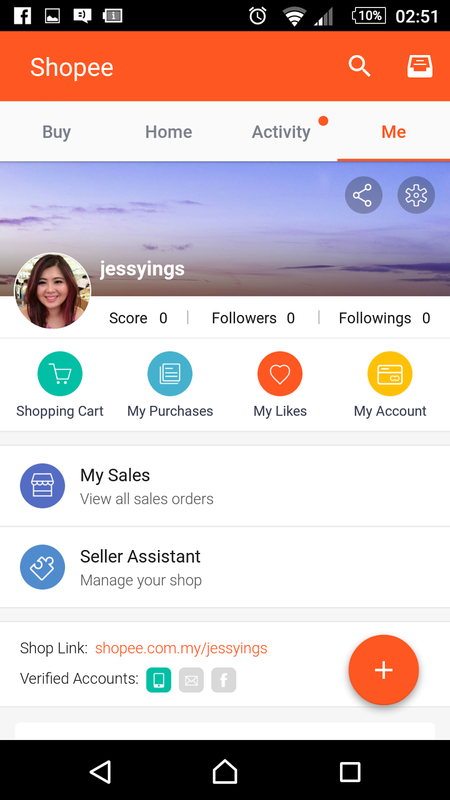 To be honest, I have actually heard about Shopee a while ago and just last week I could not resist my curiosity and I went to download the Shopee mobile app from my Google Play Store. Hahaha… and there is no turning back cos I’m hooked on it! Shopee is a mobile marketplace designed for both buyers and sellers to enjoy fast, smooth and safe transactions. With their in-app functions, you can easily turn your clutter into cash and share the fun with your friends! Plus, Shopee Guarantee ensures that the seller ships only after the buyer has paid, and the buyer’s payment is transferred to the seller only after receiving the product. They aim to create a simple and secure mobile marketplace for everyone to buy and sell, anytime, anywhere. Sounds pretty straight forward right? 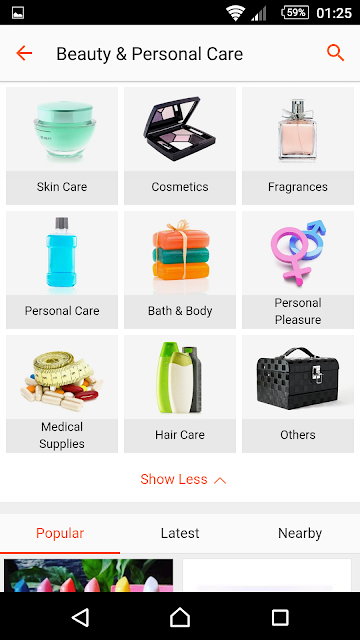 Shopee mobile app is pretty straight forward to use as I can see all the product categories once I opened the app. There are 15 categories that you can choose to pick to browse. In case you don’t know, Shopee also have a web mall which is the mirror of the Shopee mobile app and it's perfect to those who prefer to browse through the large screen on their laptop! Me being me I went straight to the beauty category lol, under Beauty there are many more sub categories. 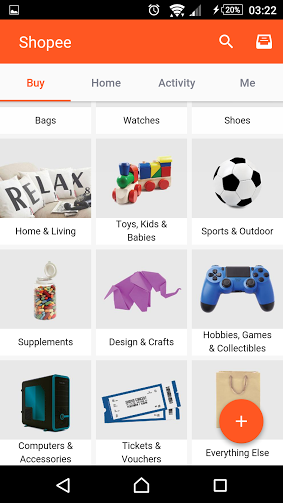 I love how their product categorisation idea as it is really easy to navigate around the app to discover the products I wanted to find. Within the next 10 minutes, I’m already done with my shopping!! So what did I get from Shopee? You know that usually after lunch the face is sweaty and oily so instead of oil blotting paper I read somewhere that it’s better to use this because it leave the skin soft, matte and fresh all day long. Also it contains Jeju minerals and mint control skin oil and moisture to keep skin healthy without feeling drying. Got this at RM34.40 instead of their actual selling price at store for about RM50. I love masks so since I haven’t really tried their sheet mask I picked some try. It’s only about RM3.60 at Shopee while in store it’s about RM9 which is 3 times more expensive. I picked the kiwi one because it is stated that it’s real squeeze mask made from kiwi! Never try a kiwi mask before so I asked myself, why not? And I took out the mask and try out last week! Wow feel really nice lah... the essence was really thick and smells really nice too! Love how it leave my skin feeling so soft, smooth and refreshing! Good buy! I haven’t use the other BHA mask yet probably would try it over the weekend! I picked up this item because recently I had some acne on the my face recently which I think it’s due to my stress or maybe it's my once a month hormonal changes thingy before my menses. It’s bothering me and I really want to make it disappear.. haha… so when I read that this product has the fast acne clearing formula I decided to give this a try! Normal price was about RM110 but it’s only RM72 on Shopee! I haven’t open it to try … shall update you guys soon if this really clear off acne really fast. Honestly I was really happy with my purchase because I think I get pretty good deal! It’s really simple to order and delivery of the product was a breeze! And I can see the reviews from other buyers about the seller! The better the rating the better credibility :D Plus the products above are all authentic items just like you those in stores around malls. And with Shopee Guarantee feature the seller ships only after the buyer has paid, and the buyer’s payment is transferred to the seller only after receiving the product. So it’s a win win situation for buyer and seller creating a safe and secure marketplace for all of us! This is the first time I heard about this feature and I totally think this is a good idea cos neither the buyer nor seller would be worried that they will get cheated by each other. 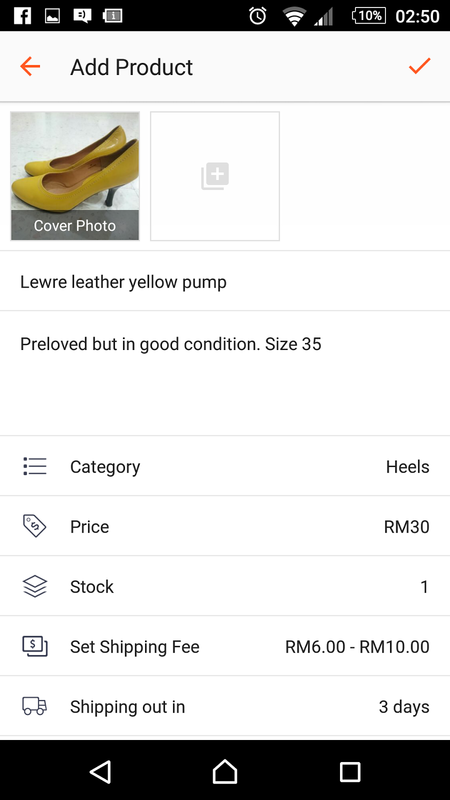 So I have this Lewre leather yellow pump which I have not been wearing since I bought them. Wore them once and the size is wrong for my feet, so I want to try to sell it off via Shopee. I filled up all the required details in template including the price, the number of stocks, shopping fee and shipping fulfillment date within minutes. 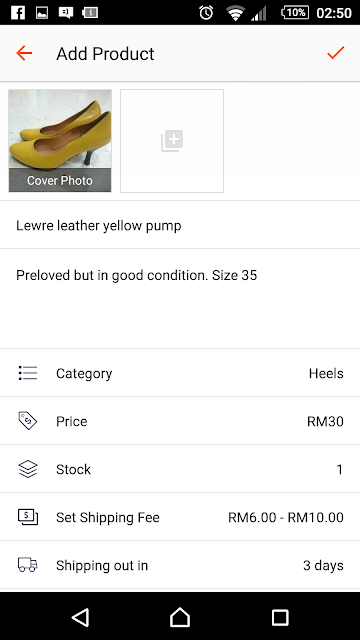 Tadaa it’s done and my product is live now in Shopee, hopefully my lovely yellow pump shoes can find her new owner soon! 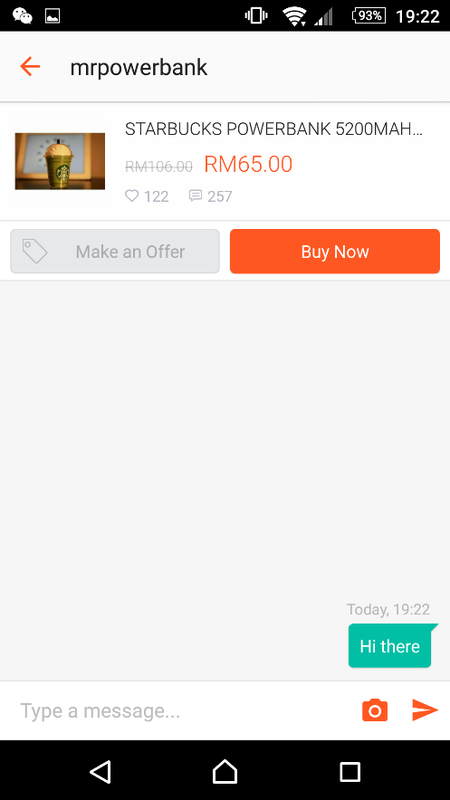 Ah before I forgot to mention, I actually like this feature in Shopee very much because I can have private messaging chat with the owner to find out more about the product before I buy! 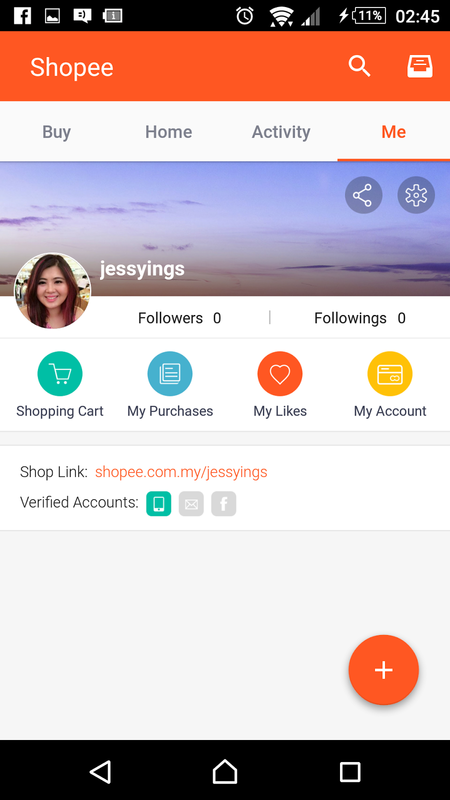 Honestly I prefer to shop in Shopee than in Carousel, ebay or other sites because it’s really easy to buy and sell. Prices seems to be cheaper, products are authentic and feeling so safe to buy here with their Shopee Guarantee feature! Here I have something special for Jessying reader! Discount is cap at RM20 only. 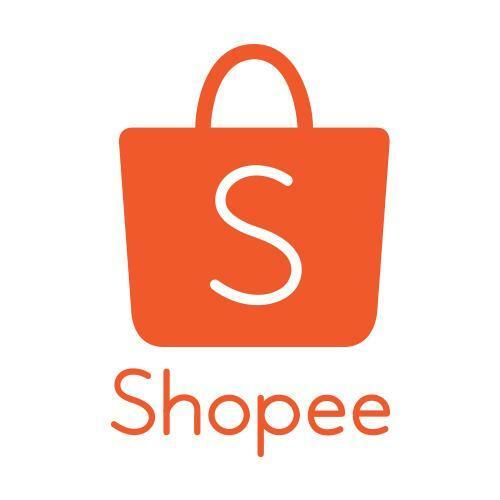 Faster go here to download Shopee Mobile App download link to start shopping now!! Christmas coming soon, so you have all the reasons to shop!